You may have noticed that whenever we talk about Nissan in a global, corporate sense we always say “Nissan-Renault.” That’s because Nissan and Renault are, functionally, much the same company. Sort of. In effect. Not really? Kinda. It’s weird. Allow me to explain. In a traditional corporate merger, one company buys another company. Boom, done, relatively simple. But for a variety of complicated reasons that we’ll return to in just a bit, that’s not what’s happened historically with Renault and Nissan. Instead of Nissan buying Renault or Renault buying Nissan, Renault and Nissan both bought huge stakes in each other. Which is definitely not what normally happens in the automotive world, otherwise you’d be seeing the General Motors-Pontiac Alliance and maybe Oldsmobile would still exist. Renault and Nissan still have separate corporate boards and whatnot, but they share a CEO, Carlos Ghosn, who aspires to invincibility. At this point, you might be wondering why they don’t just get this all over with and formally merge the two companies, but Ghosn already has an answer for that, according to Reuters. Ghosn, the chief executive of both carmakers, said the resulting stand-off over government voting rights had persuaded the Japanese carmaker that no further consolidation was possible while France continued to hold Renault shares. 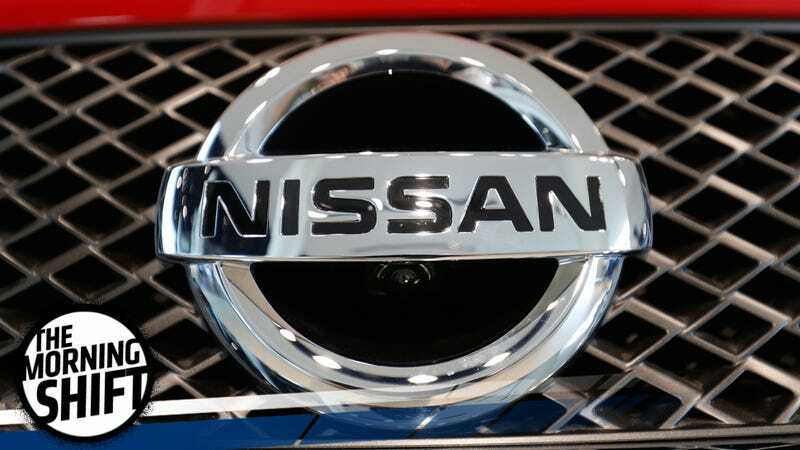 “Following the soap opera of double voting rights and the discussion with the French state, Nissan has said very clearly ... that it will not accept any move on capital structure as long as the French state remains a shareholder,” Ghosn told reporters and analysts. When Ghosn introduced the redesigned Titan pickup in January 2015, he said Nissan would reach 100,000 annual sales, and about 5 percent market share, within two years. Nissan sold 21,880 units last year and captured 1.8 percent of the U.S. full-size truck segment last month. Maybe it should try selling the Nissan Navara? Just spitballing here. Speaking of Ralph Gilles, he gave a speech at the Chicago Auto Show, according to Automotive News, in which he said that we’re on the cusp of a new era of cars, in which things may be electric (or not) or autonomous (or not), and we’ll see how that all shakes out. But whether or not things head in one direction or another will depend on collaboration and investments in infrastructure. Car companies are bad at collaborating with each other, and they’re even worse when dealing with infrastructure. Except for Tesla, none of them ever want to invest in it, because it’s always someone else’s problem. Cars will be bad, because car companies will continue to be bad, as they always have been. This is fine. Bernhard’s skills as a turnaround manager landed him top divisional jobs such as head of Mercedes-Benz cars, Chrysler and as CEO of the Volkswagen passenger car business in a wide ranging career in the auto industry. But last year Daimler extended Zetsche’s contract by three years, a move that effectively ruled out Bernhard as a potential successor. It’s okay, Wolfgang. I’m not running Mercedes either. It’s fine. Have you tried blogging? Blogs are cool. Neutral: Why Won’t Car Companies Do The Obvious? For electric cars to work, someone will have to invest in the infrastructure for them. Realizing that no one else would spend the money, Tesla ponied up for its Supercharger system of fast-charging stations. That was an extremely good idea. No one else will do it, even though every other car company says they want to build electric cars, which will very occasionally require fast-charging stations. Why the hell won’t they invest in their own products? This continues to mystify me.